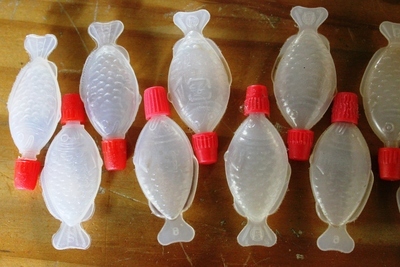 Have you got a growing collection of those little fishy shaped, soy sauce bottles that come with your take away sushi? 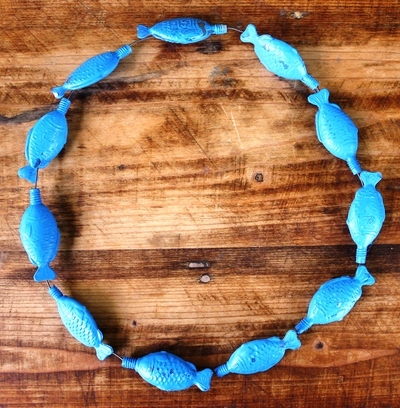 Well, this recycled chic necklace is the perfect answer to utilising your accumulating junk. It is really fun to make and wear, and I've included a few other recycled jewellery options below (another style of necklace and a unique pair of ear rings). 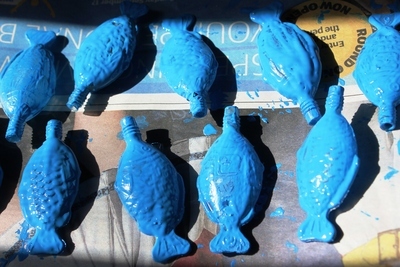 Young children will enjoy helping you paint the fish, but they will need an adult to make the holes and insert the wire. Perhaps you could a have a recycled fashion parade after you've made your creation? Consume a lot of sushi and collect the fish shaped soy sauce bottles. Clean the bottles thoroughly, remove their lids, then paint the outside with your favorite color. Allow them to dry off completely. Carefully make small holes in each fish, with a sharp pointed knife just below the "tail". Insert some wire, and line up all the colored fish in a row. 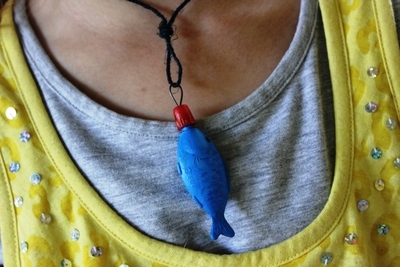 Fit the wire around your neck and wear it to your next environmentally friendly function. 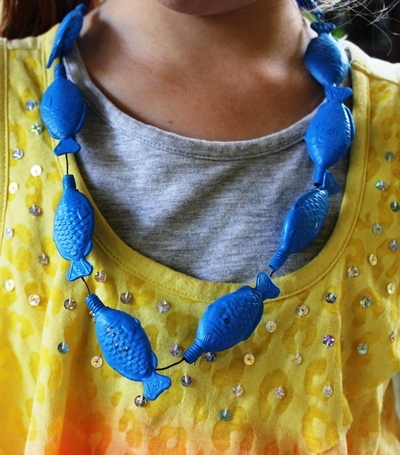 You could make a more simple necklace with a single painted fish. Pierce a hole in the lid for this one and insert the wire loop through the lid. 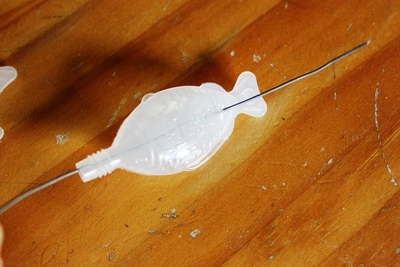 Attach some string through the wire and attach the lid to the bottle. 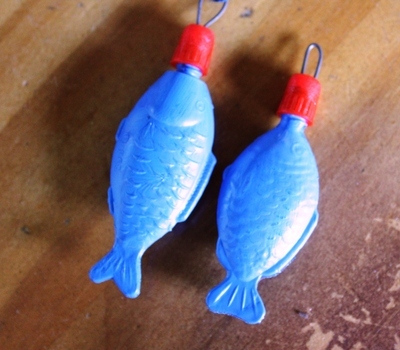 You could also make some stunning recycled fish earrings and be the talk of the party. Watch out for this one on a catwalk near you soon. Happy recycling and have fun. Thanks Erica - now you have a great excuse to eat a lot of sushi. This is such a great idea Lucy! Very creative. :) I might have to start collecting soy sauce fish now!